I'm starting a fresh new place called "The Dating Forum". It's nothing way too spectacular, it's simply a place to hang around and discuss about relationships. Sometimes just wish that women could reboot once in a while to give us a break but it's most often the case when we are booted outside the house when things go wrong..
Well.. have fun and hope to see some friendly faces from boot land over there! Nuno, had a look into the forum and have to tell you, it won't work this way. Nobody knows the recipe for success, but the recipe for failure is to cater to all. You're to much all over the place to have success. You should specialize more. Also, i have a different expectation about a site called 'dating something', than to talk about dating and relationship. I would expect that i could actually find/meet someone there for dating. ...and if you were unlucky you could expect to meet a nice girl for a date and actually at the appointment find a grumpy, bearded boot-land ex-Admin playing a trick on you! Nice idea that of the dating Forum. We missed something like it. Can we have a corner somewhere where to exchange kitchen recipes? All sites depending on f0rums.com were obliterated during the same server takedown that brought down winbuilder.net and nunobrito.eu a few months ago. Not a bad idea, perhaps someone with free time can do such task. We still need to find a secondary server, if things go wrong with this one we'll be MIA as well. Would be nice to offer something new this holiday season in our Sambul Bakeries. 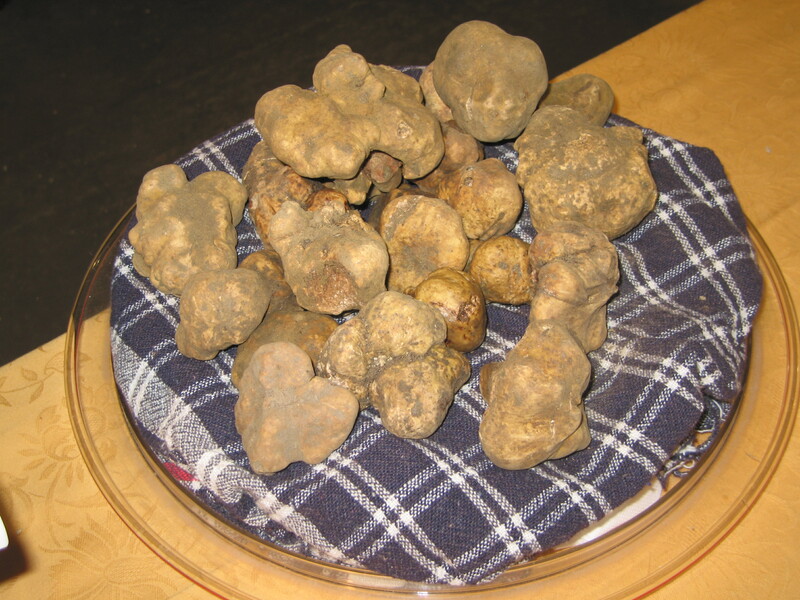 It looks like you are setting impressive tartufo goals to accomplish for the new year. Where can we place an order? Are you looking for distributors in Samoa? We can distribute your "tartufo" brand all over South Pacific on very "tasty" conditions. I don't think you have tartufo in Samoa. While you could get good tagliolini, I doubt truffle can be shipped overseas and remain as tasty and sweet-smelling as it is fresh. I was thinking of tartufo along the lines of a chocolate covered ice cream and chocolate truffles. And you meant pasta ingredient like in our local Tartufo Ristorante? Misunderstanding as usual... You'll be surprised to find European Cuisine plentiful in Samoa, including these beautiful Vanilla Tartufo. We can't procure enough authentic tartufo due to huge demand - the dessert is even "hotter" than temperature outside. It's really become a very popular Italian dessert here in Samoa. Without your supply we might not survive the competition. Would you allow our boat to sink? I like that Wonko, especially de gustibus... part (“there is no disputing about tastes” - Lat. ), he sounds really tasteful at this (possibly rare) Sanity moment. Though every reasonable effort has been made in testing this script, the Author accepts no liability whatsoever. This info may or may not help you do whatever it is supposed to do, it could even possibly completely destroy your software, hardware and set your house /office to fire. Maybe there are MUCH simpler reasons. La società è bella dispari e tre son troppi. Companies (members) are nice in odd number and three is too many. Anyway rest assured that should I ever look for a business partner of any kind, it is very UNlikely that I will ask about your availability, you seem to have too many full time occupations - including that of finding any possible way to comment on what I write (or fail to write). Actually, the quotes are referenced in their headers - you missed it as usual. Your citation is hardly applicable to business "dating", hence prompts to pursue other means and opportunities to get you on-board. Actually, the quotes are referenced in their headers - you missed it as usual. Probably because you disguised them in a hyperlink, as usual. As well as not using the board's "[ quote] [/ quote]" tags. Your citation is hardly applicable to business "dating", hence prompts to pursue other means and opportunities to get you on-board. I see it as applicable, and I apply it, no matter how hard you think it is doing so. No, I won't accept good wishes from you, but thanks anyway . Hey bro, it sounds disappointing a bit, but still optimistic at the end. Review Rule #12, I was just kidding a bit, take it easy, man.